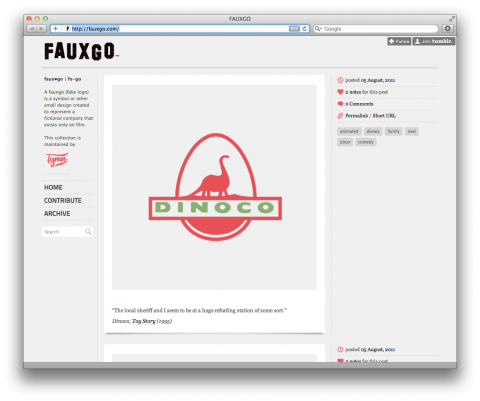 Fauxgo.com is a blog that archives fictional logos found in movies. Quite amusing! There’s quite a few more in the Pixar catalog – Pizza Planet, the shops and restaurants in Monsters Inc., etc. Haha, never heard about this site and it would really have helped me on the bar quiz a few weeks ago! Amazing that there’s enough of these fauxgos to maintain a blog!